This name uses Eastern Slavic naming customs; the patronymic is Arkadyevich and the family name is Stolypin. Pyotr Arkadyevich Stolypin (Russian: Пётр Арка́дьевич Столы́пин; IPA: [pʲɵtr ɐˈrkadʲjɪvʲɪtɕ stɐˈlɨpʲɪn]; 14 April [O.S. 2 April] 1862 – 18 September [O.S. 5 September] 1911), chairman of the Council of Ministers, served as Prime Minister, and Minister of Internal Affairs of the Russian Empire from 1906 to 1911. His tenure was marked by efforts to counter revolutionary groups and by the implementation of noteworthy agrarian reforms. Stolypin was a monarchist and hoped to strengthen the throne. He is considered one of the last major statesmen of Imperial Russia with clearly defined public policies and the determination to undertake major reforms. Stolypin seems to have been born in Dresden on 14 April 1862, and was later baptized on 24 May in the Russian Orthodox Church in the same city. 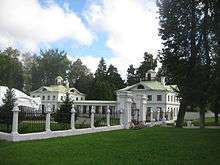 His family was prominent in the Russian aristocracy and his ancestors had served the tsars since the sixteenth century and as a reward for their service had accumulated huge estates in several provinces. Arkady Dmitrievich Stolypin (1821–99), his father, was a general in the Russian artillery, the governor of Eastern Rumelia and Commandant of the Kremlin Palace. He was married twice. His second wife, Natalia Mikhailovna Stolypina (née Gorchakova; 1827–89), was the daughter of Prince Mikhail Dmitrievich Gorchakov, the Commanding General of the Russian infantry during the Crimean War and later the Governor General of Warsaw. In 1881 he studied agriculture at St. Petersburg University where one of his teachers was Dmitri Mendeleev. He entered government service upon graduating in 1885, writing his thesis on tobacco growing in the south of Russia. It is unclear if he joined the Ministry of State Property or Internal Affairs. Stolypin served as marshal of the Kovno Governorate between 1889 and 1902. This public service gave him an inside view of local needs and allowed him to develop administrative skills. He was fascinated by the common lifestyle of the Northwestern Krai and sought to propagate their privately owned, single-family farmsteads throughout the Russian Empire. Stolypin’s service in Kovno was recognised as a success by the Russian government – he was promoted seven times, culminating in his promotion to the rank of state councillor in 1901. Four of his daughters were also born during this period – his daughter Maria recalled “this was the most calm period his life”. In 1884, Stolypin married Olga Borisovna Neidhart – whose family was of a similar standing to Stolypin’s. They married whilst Stolypin was still a student – an uncommon occurrence at the time. The marriage began in tragic circumstances; Olga had been engaged to Stolypin’s brother, Mikhail, but got engaged to Stolypin following Mikhail’s death in a duel. Their marriage was a happy one, devoid of scandal; the couple had five daughters and one son. 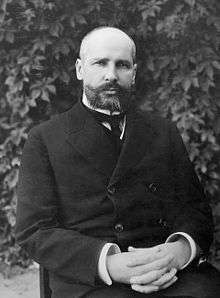 In May 1902 Stolypin was appointed governor in Grodno, where he was the youngest person ever appointed to this position. In February 1903 he became governor of Saratov. Stolypin is known for suppressing strikers and peasant unrest in January 1905. According to Orlando Figes its peasants were among the poorest and most rebellious in the whole of the country. It seems he cooperated with the zemstvos, the local government. He gained a reputation as the only governor able to keep a firm hold on his province during the Revolution of 1905, a period of widespread revolt. The roots of unrest lay partly in the Emancipation Reform of 1861, which had given land to the Obshchina, instead of individually to the newly freed serfs. Stolypin was the first governor to use effective police methods. Some sources suggest that he had a police record on every adult male in his province. His successes as provincial governor led to Stolypin being appointed interior minister under Ivan Goremykin in April 1906. He instigated a new track of the Trans-Siberian Railway along the Amur River within Russian borders. After two months Dmitri Feodorovich Trepov suggested the absent-minded Goremykin ought to step down and promoted a cabinet with only Kadets, which in his opinion would soon enter into a violent conflict with the Tsar and fail. He secretly met with Pavel Milyukov. Trepov opposed Stolypin, who promoted a coalition cabinet. Georgy Lvov and Alexander Guchkov tried to convince the tsar to accept liberals in the new government. When Goremykin, according to S. Witte a bureaucratic nonentity, resigned on 21 July [O.S. 8 July] 1906 Nicholas II appointed Stolypin also as Prime Minister, while he continued as Minister of Interior, an unusual concentration of power in Imperial Russia. He dissolved the Duma, despite the reluctance of some of its more radical members, in order to facilitate government cooperation. In response, 120 Kadet and 80 Trudovik and Social Democrat deputies went to Vyborg (then a part of the autonomous Grand Duchy of Finland and thus beyond the reach of Russian police) and responded with the Vyborg Manifesto (or the "Vyborg Appeal"), written by Pavel Milyukov. Stolypin allowed the signers to return to the capital unmolested. 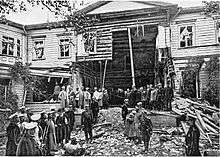 Stolypin's wooden villa after the attempted assassination. One third was blown to pieces. On 25 August 1906, three assassins from the Union of Socialists Revolutionaries Maximalists, wearing military uniforms, bombed a public reception Stolypin was holding at his dacha on Aptekarsky Island. Stolypin was only slightly injured by flying splinters, but 28 others were killed. Stolypin's 15-year-old daughter was heavily wounded; his three-year-old son was slightly wounded, standing with his sister on the balcony. Stolypin moved into the Winter Palace. In October 1906, at the request of the Tsar, Grigori Rasputin paid a visit to the wounded child. Stolypin changed the nature of the Imperial Duma to attempt to make it more willing to pass legislation proposed by the government. After dissolving the Second Duma on 8 June 1907 (Coup of June 1907), 15 Kadets, who had been in contact with terrorists, were arrested; he changed the weight of votes more in favor of the nobility and wealthy, reducing the value of lower class votes. The leading Kadets were ineligible. This affected the elections to the Third Duma, which returned much more conservative members, more willing to cooperate with the government. It changed Georgy Lvov from a moderate liberal into a radical. In Saratov Stolypin had come to the conviction that the open field system had to be abolished. Like in Denmark he introduced land reforms in order to resolve peasant grievances and quell dissent. Stolypin's reforms aimed to stem peasant unrest by creating a class of market-oriented smallholding landowners. He was assisted by Alexander Krivoshein, 1908 becoming the Minister of Agriculture. He aimed to create a moderately wealthy class of peasants that would support societal order. (See article "Stolypin's Reform"). He tried to improve the lives of urban laborers and worked towards increasing the power of local governments, but the zemstvos adopted an attitude hostile to the government. Leo Tolstoy was particularly indignant. He wrote to Stolypin directly and said, "Stop your horrible activity! Enough of looking up to Europe, it is high time Russia knew its own mind!" That was the argument that Tolstoy often had with Dostoyevsky, who was in favor of private ownership of land. Dostoyevsky wrote: "If you want to transform humanity for the better, to turn almost beasts into humans, give them land and you will reach your goal." Since 1905 Russia was plagued by revolutionary unrest and discontent was widespread among the population. With broad support, leftist organizations waged a violent campaign against the autocracy; throughout Russia, many police officials and bureaucrats were assassinated. "Stolypin inspected rebellious areas unarmed and without bodyguards. During one of these trips, somebody dropped a bomb under his feet. There were casualties, but Stolypin survived." To respond to these attacks, Stolypin introduced a new court system of martial law, that allowed for the arrest and speedy trial of accused offenders. Over 3,000 (possibly 5,500) suspects were convicted and executed by these special courts between 1906 and 1909. In a Duma session on 17 November 1907, Kadet party member Fedor Rodichev referred to the gallows as "Stolypin's efficient black Monday necktie". As result, Stolypin challenged Rodichev to a duel, but the Kadet party member decided to apologize for the phrase in order to avoid the duel. Nevertheless, the expression remained, as did "Stolypin car". Stolypin attempted to improve the acrimonious Russian-Jewish relationship at the level of nationalities policy. Sergey Sazonov was the brother-in-law of Stolypin, who did his best to further his career; in 1910 he became Minister of Foreign Affairs, following Count Alexander Izvolsky. Around 1910 the press started a campaign against Rasputin who paid too much attention to young girls and women. Stolypin wanted to ban him from the capital and threatened to prosecute him as a sectarian. Rasputin went on a trip to Jerusalem and came back to St Petersburg only after Stolypin's death. "Stolypin resigned in March of 1911 from the fractious and chaotic Duma after the failure of his land-reform bill" or the Polish question. He had proposed spreading the system of zemstvo to the southwestern provinces of Russia. It was originally slated to pass with a narrow majority, but Stolypin's political opponents stopped it. Tsar Nicholas II decided to look for a successor to Stolypin and considered Sergei Witte, Vladimir Kokovtsov and Alexei Khvostov. Pyotr Stolypin's reforms produced astounding results within a few years. Between 1906 and 1915, thanks to the efforts of Stolypin's farmers, the productivity of crops nationwide grew by 14 percent, in Siberia by 25 percent. In 1912, Russia's grain exports exceeded by 30 percent those of Argentina, the United States and Canada combined. 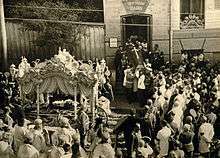 Stolypin's burial. The Romanovs did not attend his funeral because he was Rasputin's foe. On 14 September [O.S. 1 September] 1911, there was a performance of Rimsky-Korsakov's The Tale of Tsar Saltan at the Kiev Opera House in the presence of the Tsar and his two oldest daughters, the Grand Duchesses Olga and Tatiana. The theater was occupied by 90 men posted as interior guards. According to Alexander Spiridovich, after the second act "Stolypin was standing in front of the ramp separating the parterre from the orchestra, his back to the stage. On his right were Baron Freedericks and Gen. Sukhomlinov." His personal body guard had gone to smoke. Stolypin was shot twice, once in the arm and once in the chest by Dmitry Bogrov, a leftist revolutionary, trying to rehabilitate himself. Bogrov ran to one of the entries and was subsequently caught. "He [Stolypin] turned toward the Imperial Box, then seeing the Tsar who had entered the box, he made a gesture with both hands to tell the Tsar to go back." The orchestra began to play "God Save the Tsar." The doctors hoped Stolypin would recover, but, despite never losing consciousness, his condition deteriorated. Stolypin died three days later. The Tsarina had disliked the Prime Minister from the moment he started to attack Rasputin. Bogrov was hanged 10 days after the assassination. The judicial investigation was halted by order of the Tsar, giving rise to suggestions that the assassination was planned not by leftists, but by conservative monarchists who were afraid of Stolypin's reforms and his influence on the Tsar. This, however, has never been proven. On his request, Stolypin was buried in the city where he was murdered. 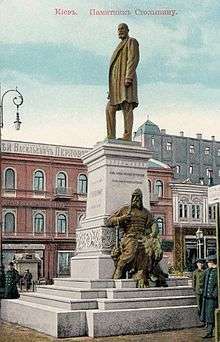 A statue of Pyotr Stolypin in central Kiev, removed after the February Revolution. 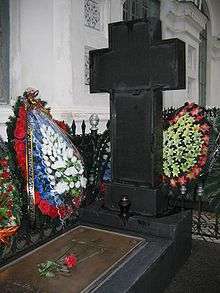 Stolypin's grave in the Pechersk Monastery (Lavra) in Kiev. The opinions on Stolypin's work are divided. Some hold that, in the unruly atmosphere after the Russian Revolution of 1905, he had to suppress violent revolt and anarchy. However, historians disagree over how realistic Stolypin's policies were. The standard view of most scholars in this field has been that he had little real chance of reforming agriculture since the Russian peasantry was so backward and he had so little time to change things. Others, however, have argued that, while it is true that the conservatism of most peasants prevented them from embracing progressive change, Stolypin was correct in thinking that he could "wager on the strong" since there was indeed a layer of strong peasant farmers. This argument is based on evidence drawn from tax returns data, which shows that a significant minority of peasants were paying increasingly higher taxes from the 1890s, a sign that their farming was producing higher profits. There remains doubt whether, even without the interruption of Stolypin's murder and the First World War, his agricultural policy would have succeeded. The deep conservatism from the mass of peasants made them slow to respond. In 1914 the strip system was still widespread, with only around 10% of the land having been consolidated into farms. Most peasants were unwilling to leave the security of the commune for the uncertainty of individual farming. Furthermore, by 1913, the government's own Ministry of Agriculture had itself begun to lose confidence in the policy. Nevertheless, Krivoshein became the most powerful figure in the Imperial government. 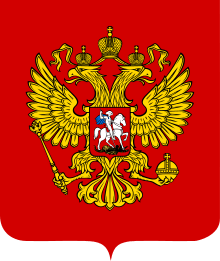 In "Name of Russia", a 2008 television poll to select "the greatest Russian", Stolypin placed second, behind Alexander Nevsky and followed by Joseph Stalin. He is seen by his admirers as the greatest statesman Russia ever had, the one who could have saved the country from revolution and the civil war. On 27 December 2012 a monument to Pyotr Stolypin was unveiled in Moscow, which is situated near the Russian White House where the Russian Cabinet is situated. ↑ Fedorovo,, B.G. (2002). "I believe in Russia": a Biography of Petr Stolypin. Limbus Press. 1 2 Bok, M.P. (1953). Vospominaniya o moem otse P.A. Stolypina. New York: Chekhov publishers. ↑ Blumberg, Arnold. Great Leaders, Great Tyrants? : Contemporary Views of World Rulers Who Made History, p. 302. Greenwood Press, 1995, ISBN 0-313-28751-1. 1 2 O. Figes (1996) A People's Tragedy. The Russian Revolution 1891-1924, p. 223. ↑ "Bomb kills 28 - Hurts Stolypin". The New York Times. 26 August 1906. 1 2 Oxley, Peter (2001). 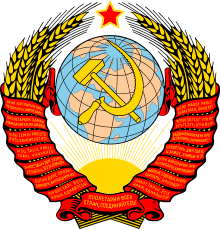 Russia, 1855 - 1991: from tsars to commissars. Oxford University Press. ISBN 0-19-913418-9. ↑ O. Figes (1996) A People's Tragedy. The Russian Revolution 1891-1924, p. 221. Fuhrmann, Joseph T. (2013). Rasputin, the untold story (illustrated ed.). Hoboken, New Jersey: John Wiley & Sons, Inc. p. 314. ISBN 978-1-118-17276-6. Ascher, Abraham (2001). P. A. Stolypin: The Search for Stability in Late Imperial Russia. Stanford University Press. ISBN 0-8047-3977-3. McDonald, David MacLaren (1992). United Government and Foreign Policy in Russia, 1900-1914. Cambridge, Mass. : Harvard University Press. ISBN 978-0674922396. 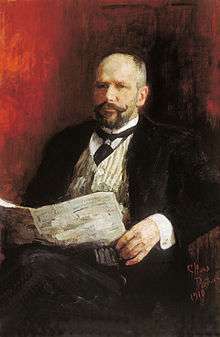 Wikimedia Commons has media related to Pyotr Stolypin.